Obituary for William "Pat" Brady | Koller Funeral Home, Inc.
William “Pat” Brady of Tunkhannock, PA passed away on September 3, 2018 surrounded by his family from injuries related to a car accident that occurred on January 23, 2018. Born and raised in Roxborough, Pat loved nothing more than a steak sandwich from Dalessandro’s and an Eagles game on TV. He was a former employee of CCA in Manayunk before he retired and moved to Tunkhannock in 2005. He was a member of the Iron Valor Motorcycle Club. He was married for 30 years to the love of his life Dolores “Dee” Brady and was blessed with three children: his son Patrick (Toni-Marie), daughter Jackie and son Joey who predeceased him in May 2000. Later in life, Pat embraced fatherhood again when he and Dee adopted their five grandchildren Joey, Jacob, Mariah, Lilly and Bree. He was eagerly anticipating the birth of his sixth grandchild in February. Pat played a mean air guitar, loved riding his Harley on beautiful days, going to concerts (especially 80’s Rock and Motown bands) and could come up with most impressive and original song lyrics. He loved his family and looked forward to holidays when they were all together. He will be loved and missed by all who knew him. He was the son of the late William and Anna Mae Brady. He is also survived by his brothers Mike Brady, Scott (Joanne) Brady, and sister Kathy (Frank) Ashton, nieces and nephews, and numerous friends and family both in Philadelphia and Tunkhannock. He was predeceased by his brother Clifford “Chip” Brady in 2014. The family would like to thank the staff of Penn Presbyterian Hospital for their excellent care of him over the past seven months, especially the wonderful nurses and doctors of the ICU. Friends and family are invited to celebrate Pat’s life at Koller’s Funeral Home on Friday, September 7 2018 from 7pm-9pm. And again at Koller’s on Saturday, September 8, 2018 at 9am with a funeral service to follow at 10am. Burial will be at St. Timothy’s Episcopal Churchyard immediately after the service. 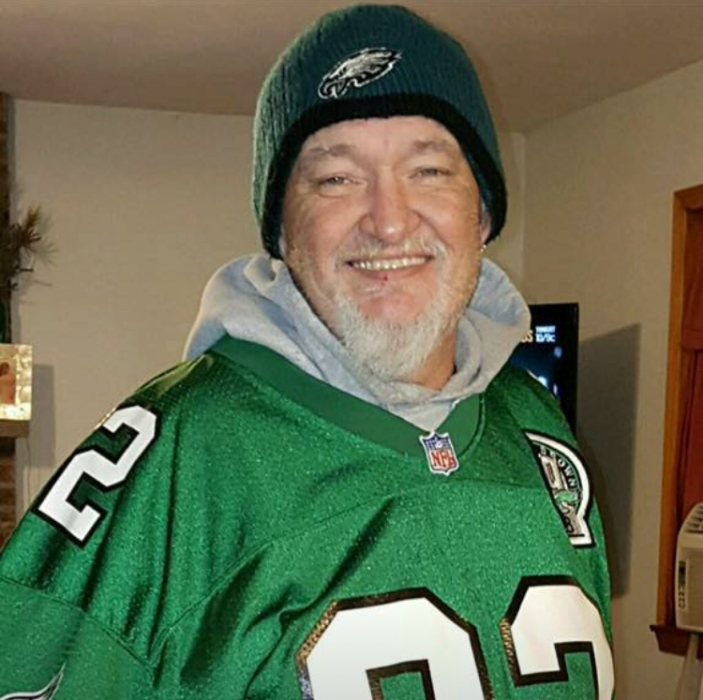 Since Pat was not a suit and tie guy and since his beloved Eagles will be kicking off on Thursday night, the family invites you to wear your favorite Eagles apparel to the celebration of his life.